Clark H. asks: I see you’re taking on many controversies like salt and aspartame. Any chance of you looking at the health risks fluoridation of water? Fluoridation is the act of adjusting fluoride levels in water, with the goal of reducing tooth decay. In 1945, Grand Rapids, Michigan was the first city in the world to do it. In 1999, the CDC declared that water fluoridation was one of the ten great public health achievements of the 20th century. However, a quick online search will yield countless articles discounting these claims, with the general consensus of the dissenters being that fluoride is actually harmful to one’s health. So which is it? Is fluoride good or bad for you? To answer that, let’s take a closer look at fluoride, what it does in the body, and why governments of the world think it’s so beneficial. In the early part of twentieth century, Dr. Frederick McKay noticed that his patients in Colorado Springs had brown stains on their teeth. He, along with Dr. G.V. Black, termed the condition as mottled enamel. Now known as enamel fluorosis, they also found those brown stains appeared to give people a surprising resistance to tooth decay. They hypothesized that something about the drinking water was the cause. In the 1930s, it was shown that fluoride was the culprit giving the stains and the protection against cavities. Fluoride, in general, is a very common natural compound. Its base element is fluorine, the most electronegative of all elements. (In a nutshell, electronegative means it wants electrons like a cat wants catnip.) It’s found pretty much everywhere in nature, including the food you eat, and, contrary to what many people think, even in the untreated water you drink. Fluoride naturally attracts calcium, so in the body it’s mainly associated with calcified tissues, like bones and teeth. Fluoride will combine with hydrogen to form the acid hydrogen fluoride. Most of the reactions, like it’s absorption through the stomach, and the way kidneys clear it from your system, is due to how hydrogen fluoride reacts as it’s distributed throughout the body. For a healthy adult, about 50% of fluoride consumed is retained by calcified tissues; the other half is excreted in urine. In children, as much as 80% is taken in by calcified tissues. This is because kid’s bodies are still growing relatively rapidly. Thus, fluoride will attract and help calcify those developing teeth and bones. The older you get, the less your body needs per unit mass, so more fluoride is excreted and less is retained. So what is the recommended intake of fluoride? That depends on your age. Since almost all nutrients needed are based on an amount proportional to your mass (in this case measured in weight), the older you get, the more per day you need. For example, infants 0-6 months need about .01 mg/day. At 4-8 year of age you need about 1mg/day, and at 9-13 need about 2mg/day. Over the age of 19 and the amount is around 4mg/day for men and 3mg/day for women. As previously mentioned, fluoride is found almost everywhere, including your food. For example, when you consume 100 grams of table wine, you’ll also be naturally consuming about 0.2 mg of fluoride; with 100 grams of seedless raisins about 0.23 mg, the same amount of brewed tea gives you 0.37 mg, and cooked crustaceans, like crab and shrimp, 0.16 mg. The question then becomes, if fluoride is found in so many things, and we take it in daily, why did they start adding it to water? The answer is that studies showed that in areas where water isn’t fluorinated, the average dietary intake for adults was 0.3-1 mg per day- far less than the recommended intake for optimal health for adults. For areas where fluoride in the water was 1mg/liter, the average intake was 1.4-3.4 mg per day. Just about the right amount an adult body needs to fight off those expensive cavities, among other benefits. So how does fluoride help with tooth decay? Cavities, known as dental caries, begin when bacteria start propagating in the small cracks and crevices of your teeth. The plaque that naturally builds up contains copious amounts of these microbes, such as streptococcus mutans and Lactobacillus. When the bacteria begin to consume carbohydrates, mostly the high concentrations of sugar found within the foods and drinks we consume, they produce acids. When those acids create a pH less than 5.5, they will begin to dissolve your tooth enamel (carbonated hydroxyapatite). The entire process is called demineralization. Should you get rid of the sugars, and are the one and only person to follow your dentist’s advice to brush and floss after every meal, ions from your saliva will help with rebuilding tooth enamel (remineralization). When demineralization exceeds remineralization, a cavity forms. That process usually takes months to years. When fluoride is placed on your teeth, it combines in plaque fluid, along with the dissolved hydroxyapatite found in your tooth veneer, and will create a layer on your teeth called fluoridated hydroxyapatite (FHA). FHA limits the uptake of sugar by bacteria, and reduces the amount of acid they produce, preventing the corrosion of your enamel. The fluoride will also help remineralize teeth by attracting calcium. The net result of both these actions reduces demineralization while promoting remineralization, and you get cavity-free teeth! Since fluoride doesn’t necessarily cure cavities, more specifically reduces the production of them, it requires frequent application throughout your life to achieve its protective affects. Adding it to the water you drink provides a fantastic way to accomplish repeated exposure. So, now that we know the proponents side of the story, what are the drawbacks to taking in fluoride and how much is too much in the first place? There are countless claims on the internet, and in certain publications, citing studies showing excessive fluoride will do everything from lower your IQ, give you thyroid problems, cause kidney issues, or even increase your risk of cancer. Fortunately, contrary to many somewhat suspect interpretations of results of studies (where present), to date, no study has definitively shown any of this. However, you shouldn’t take this to mean that extremely excessive fluoride intake won’t cause health problems; after all, even excessive water intake can be deadly and, as a paramedic, I’ve personally seen otherwise healthy individuals die as a result of the side effects of drinking too much water in a relatively short span. Pretty much everything, including things your body needs to function, is bad for you in high enough doses. However, with fluoride, at least to date, no one has ever definitively proven the aforementioned claims by many opponents of water fluoridation, even at far higher regular doses of fluoride than most of us imbibe. That being said, there are two definitively known complications from taking in too much fluoride- Enamel fluorosis and skeletal fluorosis. At fluoride levels of around 8mg/liter of water taken in, combined with common dental products, you can (potentially) get enamel fluorosis. Minor enamel fluorosis will result in horizontal opaque striations on your tooth enamel that can become white opaque patches. More severe cases will cause changes to your tooth color, like in the brown teeth Dr. McKay noticed in his Colorado Springs patients. While abnormally colored teeth is undesirable for aesthetic reasons, functionally, enamel fluorosis doesn’t appear to have any negative health effects. The pay-off, as Dr. McKay noted, would be extra protection against cavities. As to the second item there, the skeletal problems associated with too much fluoride, skeletal fluorosis, can be very debilitating. Before you begin having symptoms, skeletal fluorosis can be detected by x-ray showing a slight increase in your bone mass. That bone mass is 2-5 times higher than in people who consume the recommended amount of fluoride. Once you do begin having symptoms, your condition will come in 3 stages. Stage 1 will result in occasional stiffness and pain in your joints, and an abnormally hard pelvis and vertebra called osteosclerosis. Stage 2 and 3 can be very crippling, and results in calcification of your ligaments, osteoporosis of long bones, muscle wasting, and some neurological defects associated with too much calcium in your vertebra. The amount of skeletal fluorosis is directly related to the amount and duration of your exposure to fluoride. Now, if you’re thinking the prospects of muscle wasting and painful joints aren’t worth having a bit better dental health, don’t worry. Most people will need an intake of at the extreme minimum 10mg/day for more than 10 years to produce even mild symptoms of this conditions. In fact, one study showed that even in communities where people were getting 20mg per day, there were no cases of skeletal fluorosis. Crippling skeletal fluorosis is so rare that only 5 cases have been reported in the last 35 years world-wide. You actually need to take in so much fluoride that one confirmed case had a 64-year-old man ingesting 50mg/day for over 6 years, and he still only had a mild case of the condition! Thus, given the known risk/benefit analyses of fluorinating water, food, toothpaste and so on, you can see why so many governments and health bodies are in favor of water fluoridation to help ensure people get enough fluoride. As those who neglect their dental hygiene throughout their lives inevitably discover as the decades pass- poor dental health is a major literal and figurative pain once it catches up to you, not to mention insanely expensive. So anything that increases the odds of teeth staying “healthy” and functional into our twilight years is often going to be a good thing. However, while many opponents of water fluoridation’s reasons for opposing it may not be valid based on the current state of research on the subject, they may have a point on advocating getting rid of it. In short, while you’re unlikely to suffer any negative side effects from it, water fluoridation simply might not be necessary anymore in many parts of the world. You see, prior to the 1960s when water fluoridation was becoming more popular, a person’s diet was the only significant source of fluoride. Today, however, fluoride is consumed in countless common dental products, among other things, so water fluoridation isn’t typically needed anymore to achieve the recommended daily amounts. On that note, there are a few studies showing there is an increase in the rates of enamel fluorosis in children in areas where there is optimally fluoridated water, indicating that these children are getting too much relative to their mass. And while, as noted, enamel fluorosis isn’t exactly a cause for concern, other than potential negatives on the aesthetics’ side of things, it is a clear indicator that the water fluoridation for these kids just isn’t necessary at all. When it comes to water fluoridation today, the most damning evidence against it comes from a Cochran review performed in 2015. They looked at 20 studies on the effects of fluoridated water on tooth decay and 135 studies on dental fluorosis. While they did find that overall water fluoridation is effective at reducing levels of tooth decay by 35% among children, importantly, the results were based on old studies that, as noted, may not be applicable today. The available data come predominantly from studies conducted prior to 1975…Our confidence in the size of the effect estimates is limited by the observational nature of the study designs, the high risk of bias within the studies and, importantly, the applicability of the evidence to current lifestyles (the use of fluoride in toothpaste)…There is insufficient evidence to determine whether water fluoridation results in a change in disparities in caries levels across SES (socioeconomic status). We did not identify any evidence, meeting the reviews inclusion criteria, to determine the effectiveness of water fluoridation for preventing caries in adults. So, to sum up, in 1945 when cities began fluorinating water, it appears there was definitely an overall benefit to the public. Currently, with the advent of modern dentistry and fluoride put in many products used regularly by most anyway, like toothepaste, the question of whether governments should continue water fluoridation is a good one. At least as far as I could find, there currently aren’t any studies that analyze cavity rates while accounting for exposure to all major sources of fluoride in modern times. Until that happens, as with anything that affects public policy, it appears the benefit to the majority will always outweigh the potential problems associated with the minority, especially when those potential problems are either relatively benign or extremely rare. With fluoridation of water, the potential problems appear to be so minor or few and far between, and continuing the practice so cheap, that I would assume it will be a long time before you see municipalities ceasing the practice. In the township where I live (in Ontario, Canada) the water has not been fluoridated for many years. Many places are no longer adding fluoride due to public concern. Therefore, it should be easy to ascertain if it has any benefits for the dental health of modern people – rates of dental decay could be compared with fluoridated and non-fluoridated areas. Fluoride – and the many fluoride compounds – was determined to be a toxic waste of the fertilizer industry (just to name but one). There are photographs out there showing workers in full hazmat gear handling barrels of it. On every barrel is a skull & crossbones and a bright yellow insignia with “TOXIC” in the middle. Mixed in with the fluoride is arsenic and some radioactive contaminants. Industry had to get rid of this toxic at great expense (to them). Once the fluoride/dental caries idea came into light, this gave them the chance to sell their toxic waste instead of paying to disposed of it. Nice! What is being found out is that most of this fluoridated water is not drunk by people, but used while bathing, washing their vehicles and watering their lawns and gardens. So the majority of this toxic waste is being introduced into the environment on a grand scale all over the country! It ends up in ground water, streams, rivers, and eventually the oceans. It was determined that the average adult – during a 10-minute hot shower – absorbs about 1 liter of water through their skin. Some people drink more water than others (some drink about 1 gallon/per day), some take longer showers, etc.. So how much is the average adult supposed to be exposed to? How can the government regulate how much people can be exposed to? There is no way it can. This is a crap shoot that should never have been allowed. At least more and more countries around the world are saying “no” to fluoridation. James – You exemplify several disingenuous tactics of anti-F, anti-science activists. 1)	Present a partial truth in a demonizing light as a typical fear-mongering technique. In fact, one chemical used to fluoridate water, hydrofluosilicic acid (HFSA), is a co-product of the fertilizer industry like phosphoric acid which is used in many foods and beverages. The fluoride ions in HFSA and ultimately come from naturally occurring fluorapatite rocks ([Ca3(PO4)2]3 CaF2 ). Fluoride ions dissolved in water are identical regardless of source, and tests demonstrated “that very low concentrations of contaminants are associated with fluoridation chemicals. In fact, NSF was only able to detect the reported trace amounts by dosing the chemicals into water at ten times the manufacturers maximum use level. 2)	Fluoridation opponents (FOs) don’t seem to understand that any substance is toxic at high enough exposure levels. The tactic of yelling “Fluoridation uses toxic waste” nonsense is equivalent to screaming “Chlorine disinfection uses a poisonous chemical weapon” or “The pH adjustment of your drinking water uses toxic drain cleaner – anything to generate unwarranted fear. Look at the warnings for chlorine gas or concentrated NaOH – or most of the other concentrated water treatment chemicals – and you will probably see a “skull & crossbones and a bright yellow insignia with “TOXIC GAS CHLORINE” or “DANGER SODIUM HYDROXIDE”. You can also look up, “DANGER Dihydrogen Monoxide can be lethal”. Companies dump waste DHMO into rivers and the ocean, and nothing can be done to stop them because this practice is still legal. 3)	FOs regularly concoct completely irrelevant statements like “most of this fluoridated water is not drunk by people”. That is as absurd as claiming water disinfection (and other treatment methods) should be halted because “most of this disinfected (or otherwise treated) water is not drunk by people”. FOs appear to have no concept of public health measures. They seem to believe that because the health benefits of reducing dental decay are not as dramatic as reducing the health risks of pathogen-contaminated water they have the right to reject fluoridation and accept disinfection. All water treatment methods (disinfection, fluoridation, pH adjustment, corrosions control & flocculation/coagulation protect the health of those who drink the water, and the benefits far outweigh any risks. 4)	FOs spout fabricated unsupportable claims: If the skin behaved as you claimed and absorbed a liter of water during a 10 minute shower, what would keep that much water from evaporating every 10 minutes when you are out of the shower (or bath) and killing you in a few hours? The skin is designed to be essentially waterproof in both directions. If fluoride ions (or other ions) could enter the body as easily as you claim anyone spending a few minutes in the ocean would be killed by all that sodium chloride and other chemicals. If you believe otherwise, provide legitimate proof of that claim, and the equally unsupported claim that harmful levels of fluoride ions enter the body by bathing in optimally fluoridated water. NONE of the other health problems alleged by fluoridation opponents were listed as reasons to lower the MCLG. There were no recommendations to lower the SMCL below 2.0 ppm. If there were any concerns from drinking water with a fluoride content of 2.0 ppm those concerns would have been mentioned – There were no health concerns listed about drinking water that contains nearly three times the fluoride level of optimally fluoridated water. Fluoridation is no “crap shoot that should never have been allowed”. It is one of the most carefully studied public health measures during the last seven decades, and the scientific consensus of relevant experts – as outlined in the article – continues to support fluoridation as safe and effective. FOs have been completely unable to provide a single confirmed, convincing, legitimate, reproducible, scientific study to change the consensus. That is the reason over 100 national and international science and health organizations (and their thousands of members) continue to recognize the public health benefit of fluoridation as a safe and effective method to reduce dental decay and associated health problems. As far as I have seen, there are no recognized science or health organizations that have accepted the anti-F opinions as valid. In the absence of legitimate scientific evidence to support their opinions, FOs have resorted to using two strategies to generate public support. They attempt to discredit scientific consensus and mainstream science and health institutions, and they employ fear-based propaganda in an effort to dupe the public into supporting their anti-science agenda. Unfortunately this fabricated fear (FF) — unrestrained by integrity or scientific accuracy — sells an agenda far better than a considered discussion of scientific literature. The FF is produced by cherry-picking a few poor quality studies from the thousands that have demonstrated the safety and effectiveness of fluoridation and deliberately misrepresenting legitimate research studies. One item I forgot to mention above is that personal (especially oral) hygiene had been steadily improving over the decades. A lot may have simply been through the toothpaste ads seen on television. Many of them influenced adults and their children as well to brush more often – which would seem to be beneficial of itself. The same held true for polio and polio vaccines. Polio was already on the decline due to better hygiene BEFORE the Salk vaccine was invented. And did you know that Dr. Salk’s son died at an early age thanks to this vaccine his father gave to him? Dr. Salk also died from it – although to be fair, he did inject himself with way too many shots. He experimented on himself like many early scientists/researchers did. SERIOUSLY LOOK INTO FLOURIDE AS AN INDUSTRIAL WASTE PRODUCT(BETWEEN THE 50s-and 60s). WE HAVE BEEN FED FLOURIDE AS A SLOW POISON AND CONVINCED BY HIGH UPS ITS GOOD FOR US. THE ARTICLE SAYS IT HAS BEEN ASKED IF IT IT REALLY IS GOOD FOR US….BIG BUSINESS USED TO HAVE TO PAY ENEORMOUS AMOUNTS OF CASH TO DISPOSE OF PROPERLY…THEY SOMEWHERE BETWEEN THE FIFTIES AND SIXTIES THEY SAID” HOW CAN WE SEll THIS TO THE PUBLIC INSTEAD OF SPENDING MILLIONS(BACK THEN, BILLIONS NOW)??? IF YOU DONT BELIEVE THE STORY I ACCIDENTALLY STUMBLED UPON SIMPLY LOOK IT UP FOR YOURSELF. WHEN WORDING URL YOU HAVE TO ASK THE RIGHT QUESTION OR JUST GET THE POSITIVES. I WOULD ASK: WHEN DID FLOURIDE GO FRO INDUSTRIAL WASTE TO SOMETHING GOOD FOR PEOPLE TO CONSUME, ADD TO WATER, HAVE SCHOOL PROGRAMS… I KNOW FLOURIDE IS ELEMENTAL BUT WITH THAT SAID SO US LEAD. PLEASE CHALLENGE ME AND LOOK IT UP. James – You actually forgot everything related to science and critical thinking you might have learned in grade school – it is obvious you never learned anything related to those topics at an older age. Apparently you fortify your opinions with the opinions of other anti-science activists since no conclusive proof of anything is provided. Can you provide definitive proof to support your opinions that polio was on the decline, that Dr. Salk’s “died at an early age thanks to this vaccine his father gave to him” or that Dr. Salk died from the vaccine at age 80? From what I could determine, Dr. Salk and his first wife had three children: Peter, Darrell, and Jonathan Salk and Jonas Salk died from heart failure at the age of 80 on June 23, 1995. 1. Water fluoridation is recognized to prevent tooth decay. 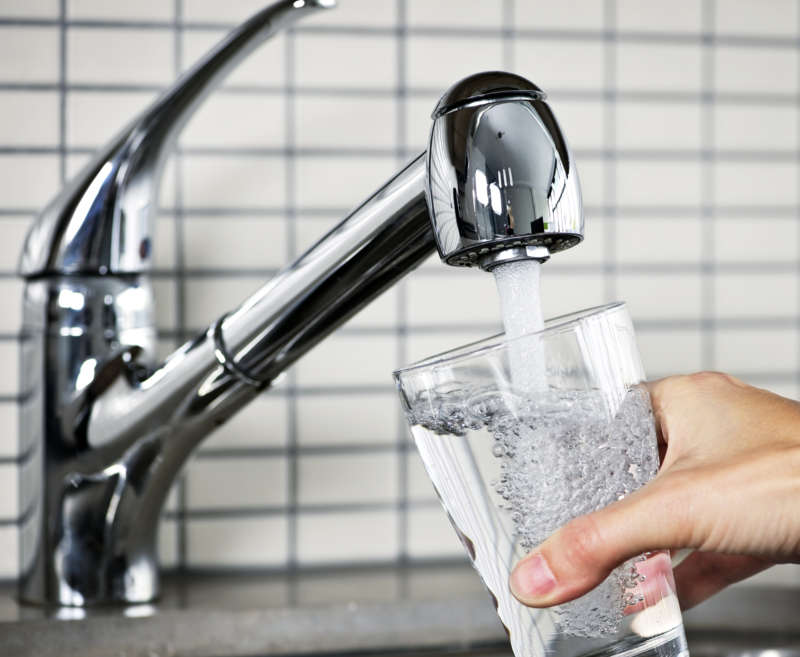 Fluoridated drinking water can significantly reduce cavities as well as tooth decay by up to ninety percent. 2. The Centers for Disease Control considered fluoridation as among the top 10 achievements of the 20th century. The World Health Organization revealed that benefits are best for the economically disadvantaged, who frequently don’t have access to sufficient dental care.